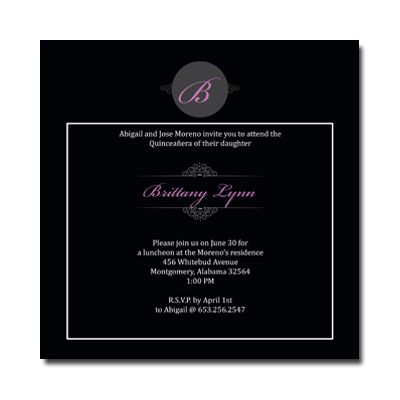 This stylish and sophisticated Quinceanera invitation designed with black background and a pink monogrammed initial is the perfect invitation for your party. Soft gray circles highlight the initial and name subtly for a classy and sleek design. Card measures 5.875in. square.